Members of the 173rd Fighter Wing hosted the 13th Sentry Eagle air-to-air combat exercise. Over 400 military personnel from the Air Force, Army, Navy and Marines participate in the 2007 Sentry Eagle. The exercise is held every other year on Kingsley Field ANGB, near Klamath Falls Oregon. Sentry Eagle provides military pilots of the National Guard, active duty and reserve components a forum in which to test their flying skills including basic fighter manoeuvres and air combat tactics against different types of aircraft, close air support and large force employment training. 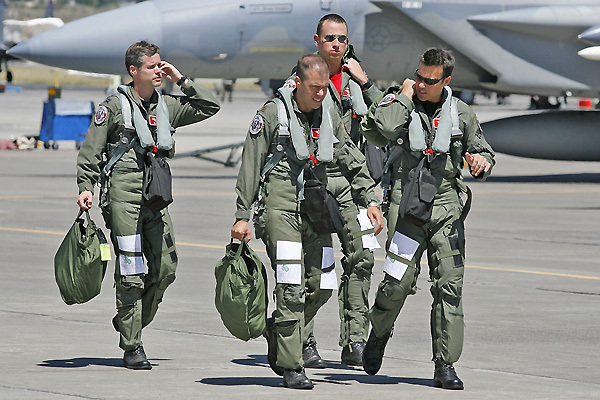 Flying were a multitude of aircraft including F-15s, F-16s, F-18s and KC-135s. The actual training of the Eagle drivers is done at the 114th "Eager Beaver" Fighter Squadron. Today the unit uses F-15C/D aircraft. They operate under the Air Education and Training Command. Therefore they use more two-seaters than the operational ANG flying units. Operations began back in 1983 with an F-4C class starting the first "Operational Training Course and Air Defence for the ANG" at Portland. 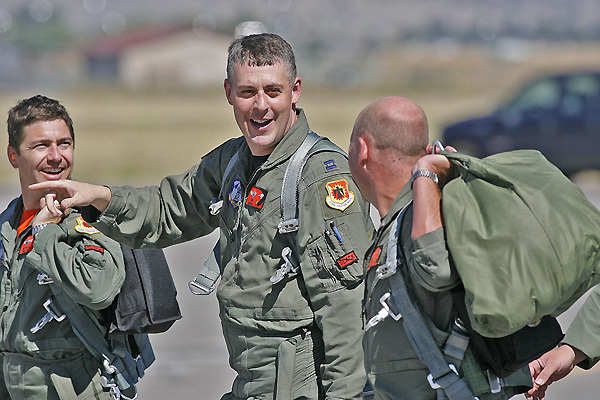 Operations then moved to the former Naval Air Station Klamath Falls in 1984 and the last F-4C unit graduated in 1988. The same year, the Phantom was replaced by a new air defence fighter, the F-16. 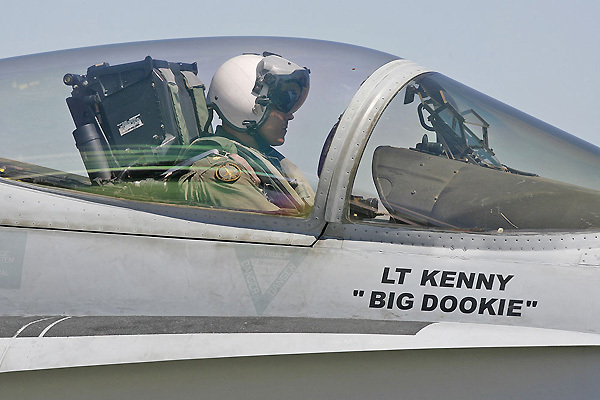 Since 1998 the unit flies the F-15 Eagle as part of the 173rd Fighter Wing. In 2007, the Eagle community was represented by the 114th FS(OR), 110th FS(MO), 119th FS(HI), 85th TES and 159 FS (FL) units. The F-16C's flew in from the 176th FS(WI) and 194th FS(CA). Air tanker support was provided by the Fairchild AB based 116th ARS flying the KC-135. Special guest was VFA-25 with four US Navy Hornets. 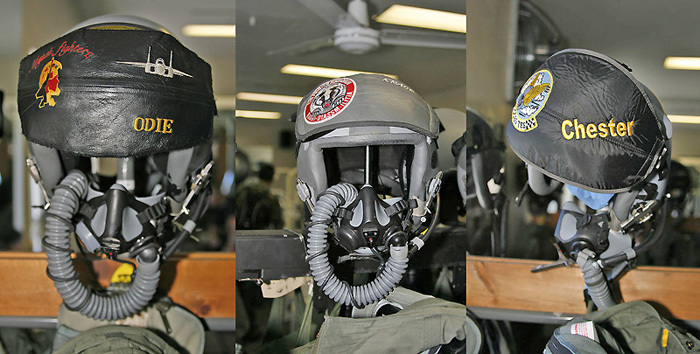 Most pilots, F-15 and F-16, used the HGU-55/P CE with MBU-20/P mask (note, still CE capable but none of the pilots wore the CSU-17/P vest). Together with the PCU-15/P, the LPU-38/P (replaced the LPU-9/P) and CSU-13/P, the jocks were dressed for success. 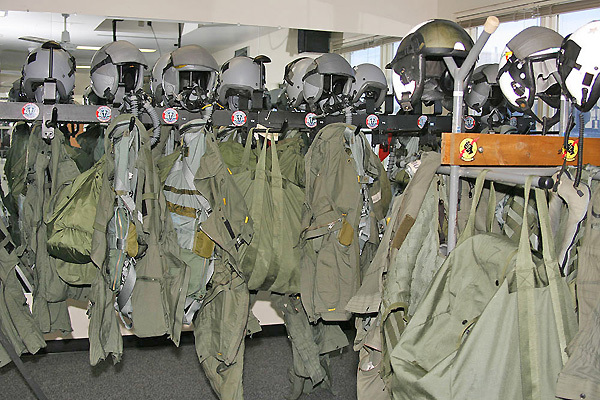 Two air force units (114th and 85th TES) were equipped with the JHMCS helmet. The naval aviators came with a mix of JHMCS (front seat and single-seaters) and HGU-68/P for the backseat boys. The pictures will tell the rest of the story!